AMAZING 14kt Gold necklace with Sugilite & Turquoise inlay!! Absolutely lovely. Truly fabulous color combination. Beautifully vibrant Sugilite inlaid with two different kinds of Turquoise… all in solid 14kt Gold. 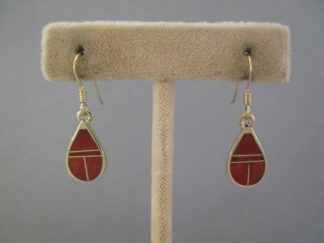 Made by Native American jewelry artist, Tim Charlie (Navajo).